Snaile discusses on page 20 & 21 in PIP’s Postal Industry Newsletter, Innovation & Markets “Welcome to the Future – why posts are able to become leaders in innovation & new technologies” volume 4 | issue 1 | 2016. Most postal service operators offer a P.O. Box service. However, many are not used at their optimum level. Encouraging more use then should be a priority of operators. 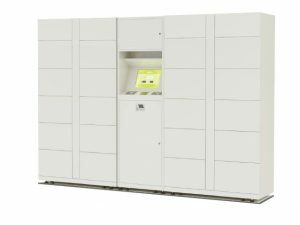 Many postal operators, such as Canada Post and Singapore Post, have elected to install mechanical parcel lockers as part of their delivery network in a bid to resolve “last mile” delivery problems or costs. This allows the postal operator to place the parcel in the locker following the first delivery attempt, giving the customer access via a key placed in the customer’s mailbox. These parcel lockers are installed so one parcel locker can serve many customers. A recent (March 2015) survey of customers by a third party company* on behalf of Snaile found that 42 percent of those questioned said ‘yes’ they wanted a notification device while 10 percent said they may be interested. The research, conducted on 400 Canadian households who currently use or expect to use community mailboxes, suggested that though consumers have been quietly using P.O. Boxes and community boxes likely because many have no choice, more work needs to be done to improve the customer experience and educate the user in these new technologies.